Rest easy if you’re trying to short sell your house – you won’t face a massive tax bill as a result if you complete the sale in 2013. As part of the fiscal cliff deal, the Mortgage Debt Forgiveness Act of 2007 has been extended for one more year. Under normal circumstances, debt forgiven as a result of a short sale or mortgage modification would count as income for tax purposes. For instance, if somebody owes $250,000 on their mortgage and their lenders agrees to a $200,000 short sale, $50,000 in debt is forgiven. This would have been taxable without an extension of the law. According to RealtyTrac data, short sales made up 22% of all residential short sales in the third quarter of 2012, a 17% year-over-year increase. A failure to reach an extension to this debt forgiveness law would have been deleterious to the nascent housing recovery. 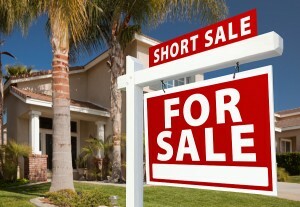 At the end of the day, short sales are an important mechanism to clear negative equity from the housing market. Although not totally benign, they tend to have less negative impact than foreclosure (which is probably the most destructive market clearing tool).